Thomas W. Douglas is the Artistic Director and Conductor of the Bach Choir of Pittsburgh. He is also the Music Director of the Newton Symphony in Kansas. 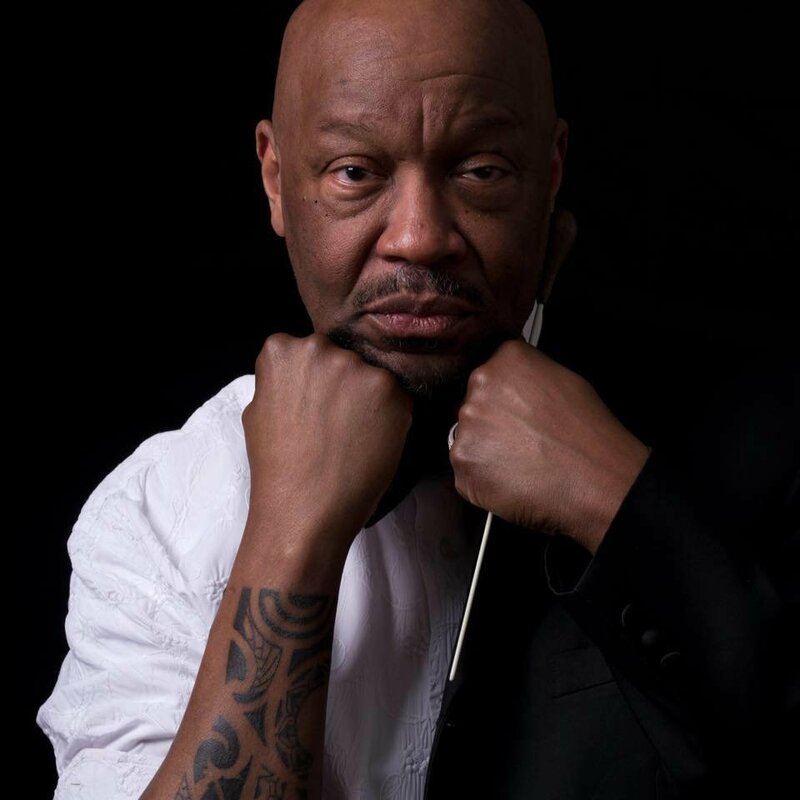 Thomas brings vast experiences in classical and popular music to the Choir, having performed in or conducted over 175 musical theatre, opera, and oratorio productions. Highlights include conducting the first Swiss company of Sir Andrew Lloyd-Webber’s Phantom of the Opera in Basel, Switzerland, Master Class at City Theatre, and performing the stage roles of Fats Waller in Ain’t Misbehavin’ in Kuala Lumpur, Malaysia, Caiaphas in Jesus Christ Superstar, Daddy Brubeck in Sweet Charity and Balthazar in Amahl and the Night Visitors. He has also been the guest soloist for Joe Negri’s jazz Mass of Hope. Thomas works regularly at Music Theater of Wichita and Pittsburgh’s City Theatre and has been the recipient of the Robert M. Frankel Award and Mary Jane Teall Theatre Award for contributions to the arts communities of those cities respectively. With the Opera Theatre of Pittsburgh, he conducted the premiere of Nathan Davis’s Jazzopera: Just Above My Head, Oscar Hammerstein’s Carmen Jones and Gershwin’s Porgy and Bess. He has worked with the Pittsburgh Symphony, River City Brass, Canton Symphony, Pittsburgh Opera, Edgewood Symphony, Pittsburgh Philharmonic, East Carolina Summer Theatre, and Children’s Festival Chorus. Thomas has been the Chorus Master of the Canton Symphony and has served as a member of the Choral/Opera Panel for the Pennsylvania Council on the Arts. This is Thomas’s 24th year at Carnegie Mellon University where he serves on the faculty of both the Drama School and the Music School. In 2010, Thomas was named to the New Pittsburgh Courier’s 50 Men of Excellence.